In Wales, legends of encounters with the Otherworld are never far away. One such legend is associated with Llyn y Fan Fach, a lake located on the northern side of the Black Mountain in Carmarthenshire. This legend is also known as The Lady of the Lake, but it is not related to the Arthurian character of the Lady of the Lake. In this legend, the Lady is found living in the lake by a farmer, who falls in love with and marries her. They live in happiness for a time until she is forced to return to her own world, taking all that she brought with her, but leaving a remarkable legacy on earth to benefit humankind. The story begins with Gwyn, who lived with his mother on a nearby farm. One of his tasks was to lead the cattle to pasture, and one of his favourite places was Llyn y Fan Fach. His mother would pack him a basket of barley bread and cheese, which he gratefully ate while gazing dreamily at the reflections in the lake as he sat on its shore. Then she dived under the water and was gone. Gwyn went home, but could not get the lovely lady out of his mind. He told his mother what he had seen and of the strange thing she had said before she dived below the water. As the lady had shown no interest in the hard-baked barley bread, his mother suggested he take an unbaked loaf to tempt her. Before sunrise next morning, Gwyn set out for the lake with an unbaked loaf of barley bread and some cheese. Finding a comfortable spot by the water’s edge, he settled down to watch the lake in the hope of seeing the mysterious Lady of the Lake again. For a moment their eyes met. She smiled kindly at him, and then quickly dived under the water. He walked home his head all in a whirl ,with her smiling face and sparkling eyes filling his heart and mind. When he got home his mother was eager for news. She suggested that the next time he should make her an offering of part-baked barley bread. That night, Gwyn was so excited he could not sleep. He was up at the lake before sunrise, staring into the cold, dark, mysterious water. With the rising sun came a cold rain that soaked him to the skin. Cold, wet, and shivering he sat and stared at the lake all morning, but she did not come. Noon came, and he sat watching the lake all through the afternoon and long into the evening, but still she did not come. As dusk began to fall, he turned to go home but out of the corner of his eye, he noticed some of his cows appeared to be standing on the surface of the lake as if it was solid. Intrigued, he stared at them and then to his delight he saw her emerging from the water. She looked absolutely radiant and he cried out in joy. Seeing him, she began making her way towards him and he splashed through the water holding out the part-baked barley bread to her. Gwyn was delighted, insisting he would never strike the woman he loved. The old man just smiled and looked at him knowingly, and told Nelferch to count out the desired number of sheep she would like for her dowry. She counted quickly using fives – one, two, three, four, five, as many times as her breath held out. As she counted sheep trotted out of the lake to the number she had last spoken. In the same way, Nelferch counted out the number of cattle, pigs, horses, goats, and geese. When all was at last done, they had a most handsome stock of farm animals. The couple married, and with their dowry of farm stock from the Otherworld they prospered greatly and built a successful farming business. They were deeply in love with each other, and when the last of three sons were born to them their happiness seemed complete. 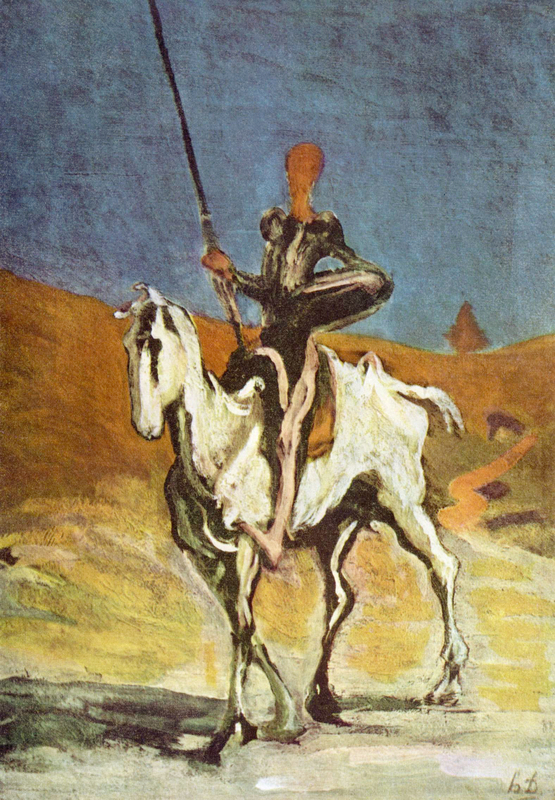 Gwyn returned home to fetch the saddle and bridle, and picked up the gloves. When he returned, he was perplexed to find she had not moved from where he had left her. Shocked, he remembered his marriage contract and vowed never again would he be so thoughtless. Life went on, and the couple were as happy as they had ever been. Their three healthy sons gave them great joy. Time passed, and they were invited to the christening of their neighbour’s baby at the church in Myddfai. It was a very sociable occasion, and the guests were filled with joy and happiness for the infant. To the astonishment of the guests and her husband, Nelferch suddenly burst into tears, sobbing sorrowfully. Perplexed at his wife’s behaviour, Gwyn impatiently, but gently, tapped her shoulder, asking why she was weeping? Gwyn loved his wife with all his soul and being. He could not bear the thought of another foolish mistake that would break the marriage contract, and resolved to be forever on his guard. Shortly after the christening, the prophecy of Nelferch came true. 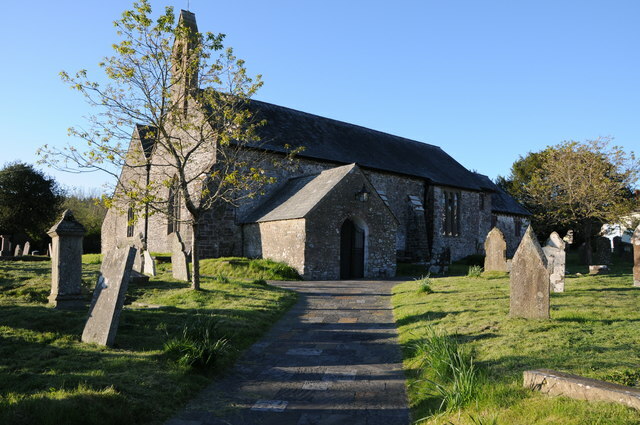 After much suffering, the baby died and Gwyn and Nelferch attended the funeral service at the church in Myddfai. Naturally, it was a solemn and sorrowful occasion and all mourned the loss of the baby. In the middle of the ceremony, while everyone hung their heads in grief, to the astonishment of all Nelferch suddenly threw back her head and laughed joyfully out aloud. The other mourners turned and looked at her in astonishment and disbelief. She turned and left the church, and walked back to the farm with Gwyn stumbling on behind. No matter how he begged and pleaded, she kept her eyes forward and continued walking. As hard as he tried, he could not keep up with her. As she entered the bounds of their farm, she called out the individual names of all of the cattle, horses, pigs, goats and all of the animals which her father had given them. Immediately they followed on behind as she strode resolutely towards Llyn y Fan Fach. Arriving at the lake, without hesitating she simply strode into the cold water with all the farm animals following behind. Gwyn had desperately tried to keep up with her, begging and pleading all the way, and he watched in horror as she disappeared into the lake. Mad with by grief, he walked slowly into the icy depths of Llyn y Fan Fach hoping to find her in death. With all the farm stock returned to the Otherworld and her husband dead, it seemed nothing remained of the time that the Lady of the Lake from the Otherworld had spent on Earth. Nevertheless, with their father dead and their mother returned to whence she came, her sons remained as the testament to her time on Earth. They spent all their hours at the lakeside, mourning the loss of their parents. At the height of their despair, their mother suddenly came to them, walking calmly and purposefully out of the lake to stand beside them. Embracing each one, she told them that they had an important mission on Earth to help relieve the suffering and pain of mankind. Leading them to an ancient place called Pant y Meddygon, or the Physician’s Dingle, she taught them all about the healing properties of the plants of the Earth. She showed them how to prepare potions and balms to relieve pain and suffering. When she had taught them all of the healing arts of the Otherworld, she embraced each one and returned to the lake never to be seen on earth again. The sons of Nelferch are among the few humans to trace their lineage back to the Otherworld. They diligently applied the arts their mother taught them to heal pain and suffering wherever they found it. Their fame and reputation as great healers spread far and wide. 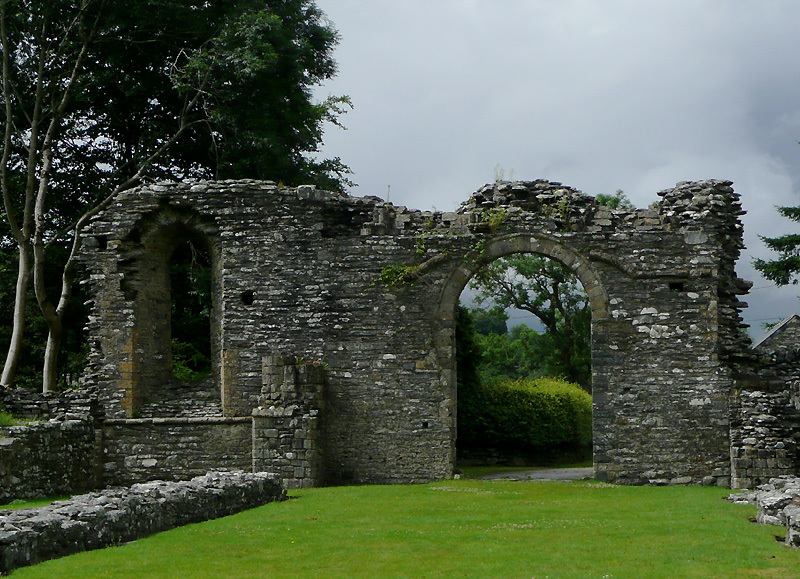 One of the great men of Wales, Lord Rhys, gave them land in Myddfai and sponsored the monasteries of Strata Florida and Taw Valley which became renowned centres of healing. Nelferch’s three sons became known as ‘The Physicians of Myddfai,’ and brought great relief to many with their healing skills. In turn, they married and had families of their own, passing on their healing knowledge and skills to their children, and they to theirs. In this way, the healing arts of the Otherworld passed through the generations to the present day. Spare a final thought for Nelferch, who loved her husband and sons beyond measure. Coming from the Otherworld, she loved as they love in the Otherworld and grieved as they grieve in the Otherworld in ways that humans can never know. Being an immortal being, her love and grief will not diminish or fade but stay with her all through the long, bittersweet, ages of eternity, while her legacy on Earth lives on with the healers. I am currently working on a Lost Worlds project which looks at mythical and legendary lands around the world and will be published in due course. I have two web sites dedicated to myths, legends and folklore from around the world. These are Under the influence! and Folkrealm Studies. I have also contributed to Enchanted Conversation Magazine and have published Havelock the Dane: Hero-King of Two Realms as a Kindle eBook. Follow me on Twitter here. 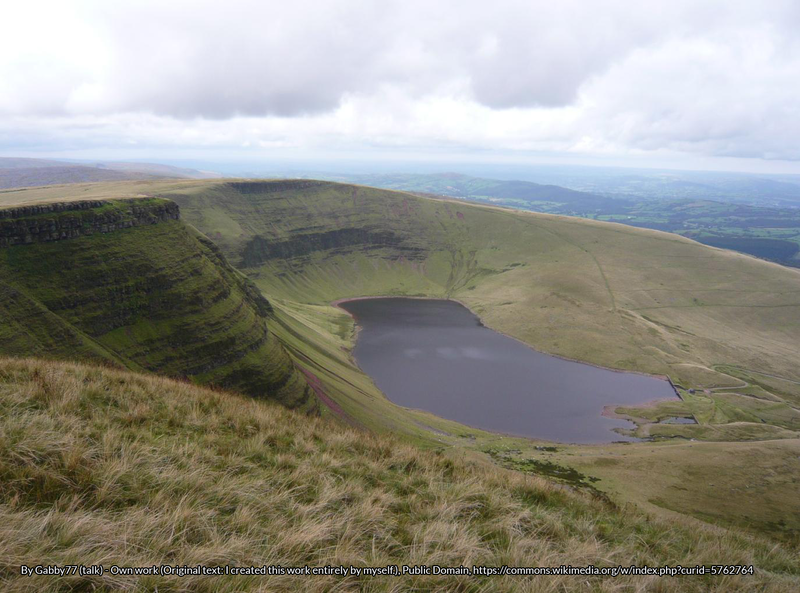 Pingback:	Welsh Folklore: The Legend of the Lady of Llyn y Fan Fach – Under the influence!